Combined Russian-separatist forces attacked Ukrainian army positions in Donbas 60 times in the past 24 hours with one Ukrainian soldier reported as killed in action (KIA) and three as wounded in action (WIA), according to the press service of the Anti-Terrorist Operation (ATO) Headquarters. The villages of Shyrokyne, Slavne and Vodiane and the town of Maryinka in the Mariupol sector in Donetsk region came under mortar fire. Grenade launchers and small arms were used to shell the villages of Hnutove, Talakivka, Shyrokyne, Pavlopil, and Starohnativka. 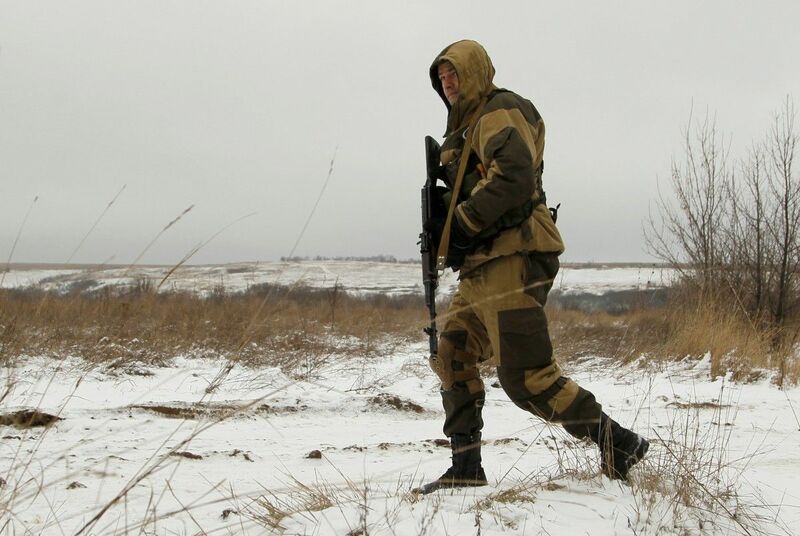 The villages of Novomykhailivka and Slavne were attacked by infantry fighting vehicles. A sniper would open fire on the town of Krasnohorivka. What is more, Russian occupation forces stationed in the Donetsk sector used banned 122mm artillery systems to shell the village of Luhanske, the ATO HQ said. Read alsoOccupiers in eastern Ukraine set to escalate confrontation - Motuzianyk"Mortars were used to attack the villages of Kamyanka, Myronivske, Zaitseve, and the town of Avdiyivka. They also fired grenade launchers and small arms on the villages of Mayorsk, Zaitseve, Novoselivka Druha, Kruta Balka, Novhorodske, and Avdiyivka. The village of Troyitske was attacked by an infantry fighting vehicle," it said. Read alsoMortars, grenade launchers, artillery: Militants shell Ukraine positions 62 times in past dayThe occupiers used 152mm artillery systems, which are proscribed under the Minsk agreements, to shell the village of Novozvanivka in the Luhansk sector. Further, the villages of Novotoshkivske and Novozvanivka came under mortar fire. "Antitank missile systems were used to attack the villages of Krymske and Novo-Oleksandrivka, while grenade launchers and small arms were fired on the villages of Orikhove and Lobacheve. A sniper would open fire on the village of Stanytsia Luhanska," it said.